Description: While on her honeymoon, WWII combat nurse Claire Randall is mysteriously transported back to 1743 Scotland, where she is kidnapped by a group of Highlanders - and meets an injured young man named Jamie. Description: Jamie hopes the Duke of Sandringham can help remove the price on his head, while Claire works to save an abandoned child. Description: Claire and Geillis are on trial for witchcraft. Jamie manages to rescue Claire, but not before she discovers a secret about Geillis' past. Description: Claire and Jamie are reunited and head to his family home, where old animosities between Jamie and his sister, Jenny, are rekindled. Description: Jamie finds himself between a rock and a hard place when a redcoat deserter from his past resurfaces. Claire tends to a laboring Jenny while Jamie and Ian join The Watch, resulting in devastating consequences. - Whilst Jamie has been gone, sister Jenny and her husband Ian have been paying a gang of ex-militia/highwaymen protection money, food and good tobacco to keep them from the jaws of the Red Coats. Tension is high as Jamie has to assume a 'cousin' of the family so as to hide the fact that he has a price on his head. Unfortunately, someone they have come across recently connects up with the gang - and he knows Jaime and his secret. This rogue has a plan for the gang to rob a rent packet but he also blackmails Jaime to keep his secret - or has he spilled the tale already. Jenny and Claire are busy bringing the latest Fraser into the world - a breech birth. Description: Claire and Jenny set out to rescue Jamie from his redcoat captors. When Murtagh joins up, they turn to unorthodox tactics to send word to Jamie. When word finally arrives, the news isn't what anyone had hoped. Description: Jamie awaits his death sentence at Wentworth Prison, while Claire and the Highlanders search for a rescue plan. When Jamie is visited by Black Jack, he realizes there is a fate worse than death. Description: A desperate plan manages to free Jamie, but his wounds are more than just physical. At a nearby monastery, Claire attempts to save both Jamie's heart and soul, as his mind lingers on the torture. Description: Claire is taken to meet the Laird. As suspicions about her grow, Claire befriends the mysterious Geillis Duncan. When the clan discover her medical skills, Claire goes from guest to prisoner. Description: Claire decides to use her medical skills to aid her escape from Castle Leoch - with Jamie's help, she tends to an ill child. During an evening's entertainment, a story gives Claire hope for her freedom. Description: As the Castle prepares for The Gathering, Claire plots her escape. But after a dangerous encounter with a drunken Dougal and an unexpected run-in with Jamie, her plans are dashed. Description: Claire joins the MacKenzie rent-collecting trip. To her horror, Dougal uses Jamie's scars to gain sympathy for the Jacobite cause. Claire recalls that a defining moment in Scottish history is fast approaching. Description: Claire's unexpected meeting with a British general turns tense when Captain Jack Randall arrives. Claire finds herself alone with Randall - a dangerous man determined to uncover her secrets. Description: Claire and Jamie are thrown together in marriage, but as their emotional and physical relationship unfolds, deeper feelings arise. Claire is ultimately torn between two men in two very different times. Description: Frank desperately searches for his missing wife, while Claire tries to come to terms with her new marriage. Claire is faced with an emotional quandry as a life-altering opportunity presents itself. Description: Jamie and the Highlanders rescue Claire from Black Jack Randall. Back at the castle, politics threaten to tear Clan MacKenzie apart and Jamie's scorned lover, Laoghaire, attempts to win him back. Description: Returning to her own time, Claire must reconcile her future with the life she left behind. Shifting back to the 18th century, Jamie, Claire and Murtagh arrive in France, but learn that Paris presents its own challenges. Description: Jamie uses Claire's knowledge of the future to lead the Jacobite army into battle against the British, while Claire tends to the wounded, a harsh reminder of the cost of war. Description: Claire and the Highlanders make their way north after the Jacobite leaders decide to stop their march on London. Jamie is included in the group of riders enlisted for Dougal. Claire also joins them. Description: Jamie works to divert the Jacobite army away from imminent slaughter; Claire tries to provide comfort to a sick Alex Randall; Alex shares an unusual plan to save the mother of his child. Description: In the present, Claire reveals the truth to her daughter, Brianna; in the 18th century, Jamie does everything he can to save his loved ones as the Battle of Culloden begins. Description: Life in Paris is not without trials as Jamie struggles to triumph over his past. A fortunate meeting with Prince Charles presents opportunities, while the Duke of Sandringham's presence brings complications. Description: Jamie’s time is dominated by political machinations, while Claire finds solace in her healing skills. Description: Claire and Jamie throw an elaborate dinner party intended to derail investors in Prince Charles’ war effort. Description: Claire and Jamie reunite and attempt to extinguish fires until Claire makes an unexpected change of course; Jamie and Claire's relationship is tested when the past rears its ugly head. Description: Jamie and Claire use Claire's medical knowledge to come up with a scheme to stop a deal which could fill the war chest; Claire learns Jamie has gone back on his word. Description: Doctors at L'Hopital des Anges attempt to save the lives of Claire and her unborn baby; King Louis asks Claire to judge two men accused of engaging in the dark arts. Description: Claire and Jamie attempt to elicit support from Jamie's grandsire, Lord Lovat; Colum MacKenzie arrives with plans of his own; Lord Lovat makes moves to advance his own interests. Description: Claire and Jamie reunite with the Lallybroch and MacKenzie men during training; Jamie and Claire wage personal battles; an Englishman arrives in camp with new information. Description: After living through the Battle of Culloden, Jamie finds himself at the mercy of unforgiving British victors, until a connection from his past provides his only hope of survival. Meanwhile, a pregnant Claire attempts to adjust to life in the modern world of 1940s Boston – and life with Frank. Description: Claire races to discover the source of an epidemic aboard a disease-stricken ship before hundreds of sailors die. And as Jamie locks horns with Captain Raines, Fergus finds himself torn between loyalty and love. Description: After making a leap of faith, Claire washes up on a seemingly deserted island where survival is her only option. Navigating treacherous waters has crippled the Artemis, so Jamie devises a joyful moment for his crew in the midst of devastating setbacks. Description: The Artemis finally reaches Jamaica bringing Jamie and Claire that much closer to their goal. During a lavish ball on the island, the Frasers encounter old allies, as well as former adversaries who threaten to derail their mission. Description: Claire is forced to play a game of cat and mouse with an old adversary as she searches for Young Ian. The Frasers race through the jungles of Jamaica to prevent the unthinkable. Description: Jamie leads a lonely life hidden in a cave until Lallybroch is threatened by redcoats; Claire and Frank struggle to coexist in a marriage haunted by the ghost of Jamie. Description: In prison, Jamie discovers that an old foe has become the warden – and now has the power to make his life a living hell. Over the years, Claire and Frank both put their best foot forward to share a harmonious marriage, but an uninvited guest shatters this illusion, bringing their differences to light. Description: While serving as groomsman at the aristocratic estate of Helwater, Jamie is reluctantly pulled into the intrigue of a noble British family. In 1968 Scotland, Claire, Brianna and Roger struggle to trace Jamie's whereabouts in history, leaving Claire to wonder if they will ever find him again. Description: Brianna grapples with life-changing revelations and Claire must help her come to terms with the fact that she is her father's daughter. Roger brings news that forces Claire and Brianna to face an impossible choice. Description: After decades apart, Jamie and Claire finally reunite and rekindle their emotional and physical bonds. But Jamie's new business dealings jeopardize the couple's hopes for a simple life together. Description: In the aftermath of a violent confrontation, Claire follows her conscience as a surgeon, even though it could put her and Jamie's lives at risk. At the same time, Jamie attempts to evade the reach of the Crown as its representative closes in on his illegal dealings. Description: Claire returns to Lallybroch with Jamie, where she does not receive quite the reception she was expecting. Unbeknownst to her, Jamie has made some choices in their time apart which will come back to haunt them with a vengeance. Description: Claire and Jamie leave Scotland, sailing to the West Indies on an urgent quest. But when the superstitious crew looks for someone to blame after a string of bad luck, rescue comes from an unlikely source. Description: Claire and Jamie cross paths with Stephen Bonnet, a pirate and smuggler who enlists their help. Claire illuminates Jamie on some of America's history, leading him to wonder if it's possible for them to lay down roots. Description: The secrets Jamie and Claire keep from each other as they try to help Brianna process her recent trauma cause a bigger familial rift once they are revealed. Description: Jamie, Claire and Young Ian embark on a long uncertain journey to rescue Roger. Brianna forges a friendship with one of Jamie's old friends as she fends off Aunt Jocasta's attempts to secure a husband. Description: Brianna confronts a violent figure from her past in an attempt to cope with her trauma. Roger befriends a fellow captive and endeavors to escape the Mohawk Village. Fergus and Marsali plan a dangerous mission. Description: Jamie, Claire and Young Ian's attempt to rescue Roger from his Mohawk captors goes awry when a ghost from Claire's past lays waste to their plan. Brianna worries Claire, Jamie and Roger might not return. Description: Claire and Jamie visit his Aunt Jocasta at her plantation, River Run. When tragedy strikes at the plantation, Jamie and Claire find themselves caught between what's right and the law of the land. 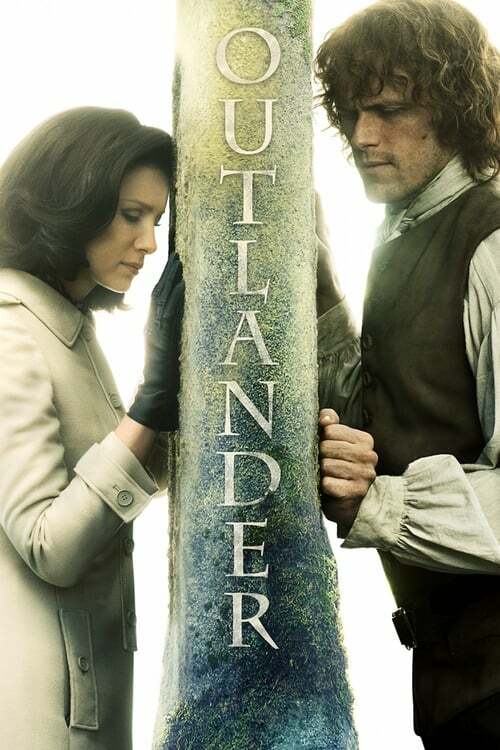 Description: Jamie and Claire search for a place to call home; meanwhile, in the 20th century, Brianna and Roger's romance heats up and then fizzles during a road trip that winds up highlighting their differences. Description: Having been led by providence to Fraser's Ridge, Jamie, Claire and Young Ian begin to build a home in the Blue Ridge Mountains. In the 20th Century, Roger tries to reconnect with Brianna. Description: Claire's medical expertise proves invaluable, but she begins to fear for her life when tragedy strikes her patients' household. Jamie and Young Ian travel to a nearby town to recruit settlers for Fraser's Ridge. Description: Jamie and Claire are surprised when Lord John Grey drops in on Fraser's Ridge with an unexpected traveling companion. When Grey takes ill, Claire must reconcile her personal feelings with her duties as a doctor. Description: Brianna follows in her mother's footsteps and travels through the stones back in time to 18th century Scotland where she struggles to make her way to the Colonies to find her parents. Description: Roger's diligent search for Brianna pays off when he finds her in Wilmington, but their romantic reunion comes to an abrupt halt when she discovered pertinent information that he intentionally kept from her. Description: As Brianna struggles to compartmentalize the trauma she suffered in the wake of the tragedy that befell her in Wilmington, she refocuses on finding her parents.